Without tubes, wires and cables, no industry would function, daily life would be incapacitated, and our office routine – without connection cables, metal springs (for hole punches), paper clips or telephone wires – would be practically impossible. Thus the two leading trade fairs, wire and Tube, have more significance in our everyday life than it would seem at first glance. 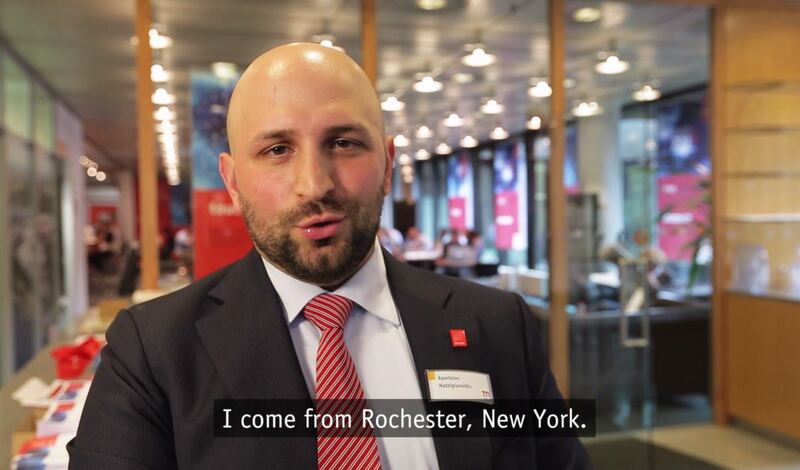 We looked around and took advantage of the opportunity to meet with our colleagues from Messe Düsseldorf North America (MDNA) for an interview. 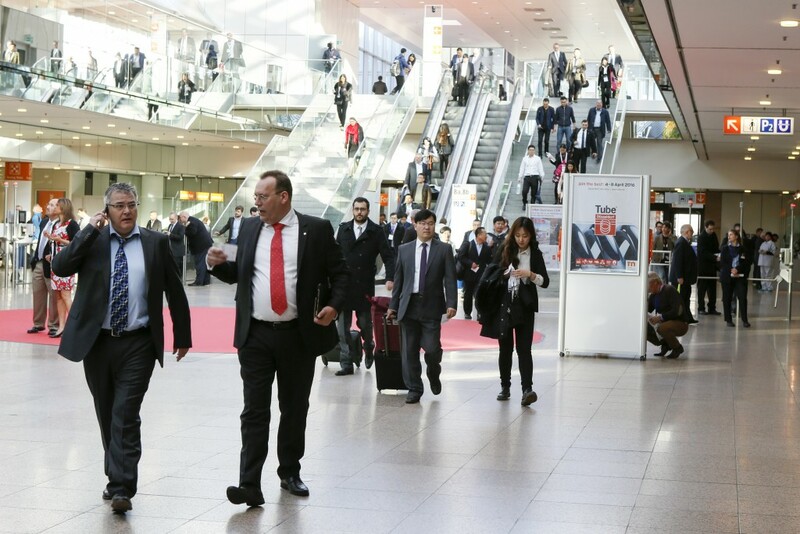 A total of 2,600 exhibitors on approximately 110,900 square metres make the Düsseldorf Exhibition Centre the current technological hotspot for the global wire, cable and tube industry. And both events are indeed highly international. “Exhibitors from Italy, Great Britain, France, Turkey, the Netherlands, Belgium, Spain, Switzerland, Sweden, Austria, Poland and Germany are traditionally well represented here. Participants from overseas include the USA, India, Taiwan, South Korea and China,” explains Georg Kehrer, Global Portfolio Director, Metals and Flow Technologies. 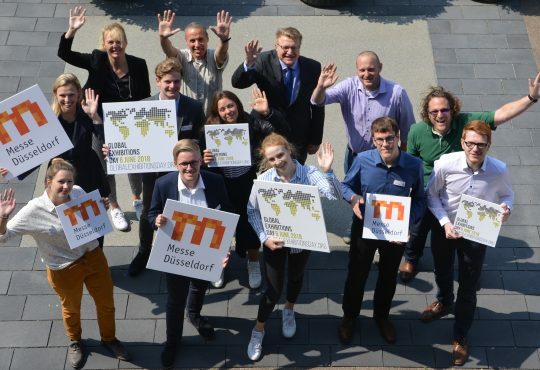 Exhibitors are not the only group that travels from all corners of the globe to wire and Tube, which incidentally are already taking place for the 15th time in Düsseldorf. We have also been running into our international colleagues here at the Düsseldorf Exhibition Centre quite often lately. 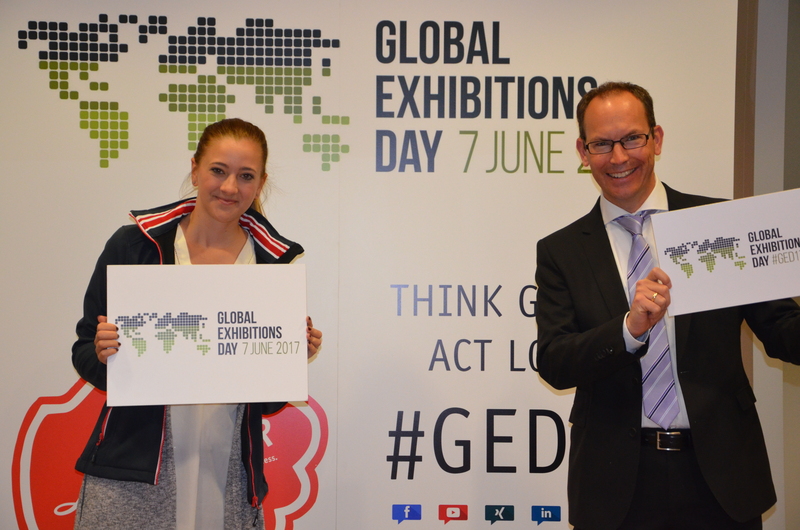 Two of them are with us now: President Tom Mitchell and Vice President Eva Rowe from Messe Düsseldorf North America. Editor: Hello Tom and Eva, lovely to see you! Please introduce yourselves briefly for our readers. Tom Mitchell: We are from Messe Düsseldorf North America, a subsidiary of Messe Düsseldorf with offices in Chicago. 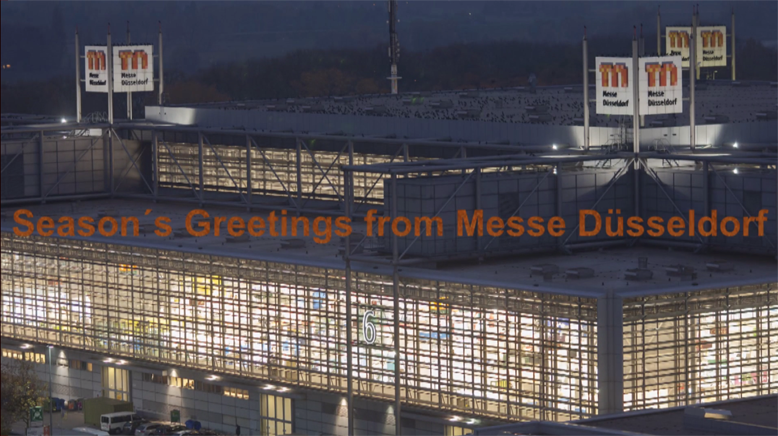 We support all Messe Düsseldorf events in Germany and around the world, and we have also been organising our own events for five years now. We have a total of 12 people on our team that handle everything from acquisition to public relations to exhibitor Support. Editor: Your offices are in Chicago, although many Germans are probably more familiar with New York or San Francisco from holidays. Tell us why that should definitely change. What kind of city is Chicago? 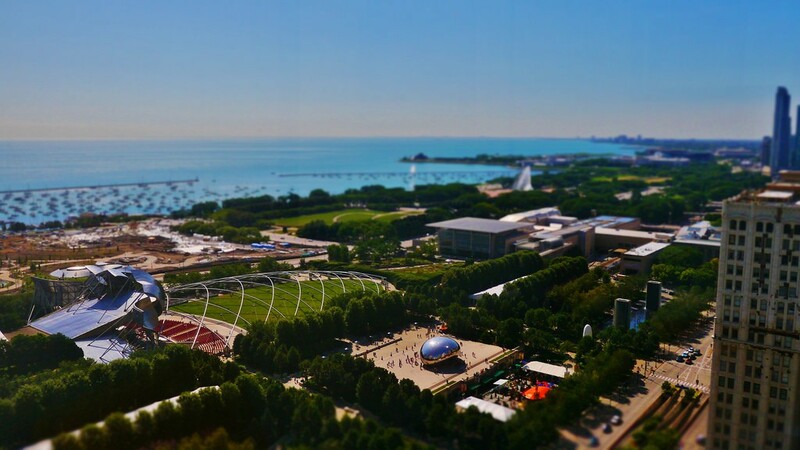 Eva Rowe: Our offices are right next to Millennium Park, which you could say is in the heart of Chicago. The city has so much to offer: modern architecture, the shores of Lake Michigan, countless museums, and a very international flair – which is reflected in the diverse culinary offerings. Compared to Düsseldorf, you could say that the two cities complement each other beautifully through their differences: modern architecture is to Chicago what the Old Town is to Düsseldorf. Tom Mitchell: Not to forget the incredible sports scene in Chicago! The city is ideal for a holiday from April to October – the winters there can be very cold, though. Editor: Of course, you don’t spend all your time in Chicago – you’re all over the map in the entire USA. 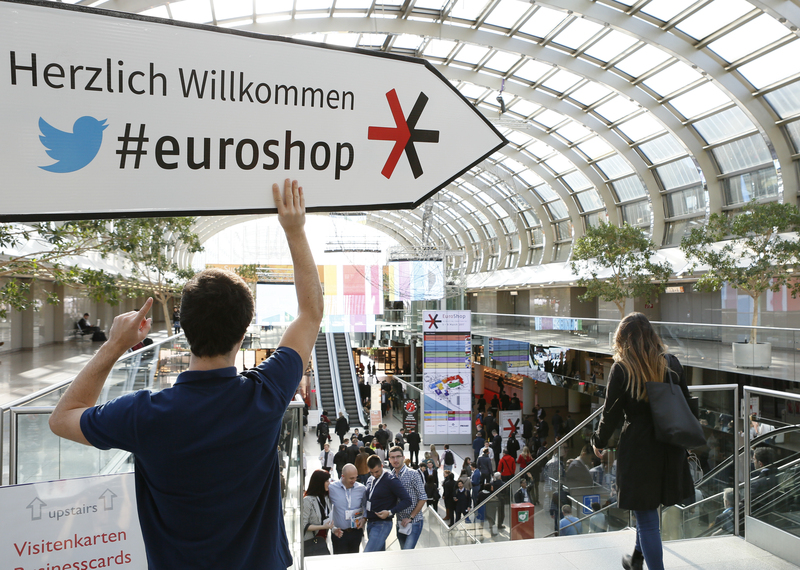 What are the most common differences between trade fairs in Germany and in the USA? Tom Mitchell: There are definitely organisational differences, beginning with the development of the hall plan: with trade fairs in the USA, the exhibitor can basically freely choose the position of his stand in the hall. In Germany on the other hand, the layout is determined by the exhibition company or the promoter. One reason for this is that trade fair stands in Germany are often quite a bit larger and more complex. The stands in the USA are rarely as elaborate. Eva Rowe: Most stands in the USA are also much more open – only half walls are used on the sides. This creates a much less obstructed view across all stands, and lends the trade fair a completely different look and feel. 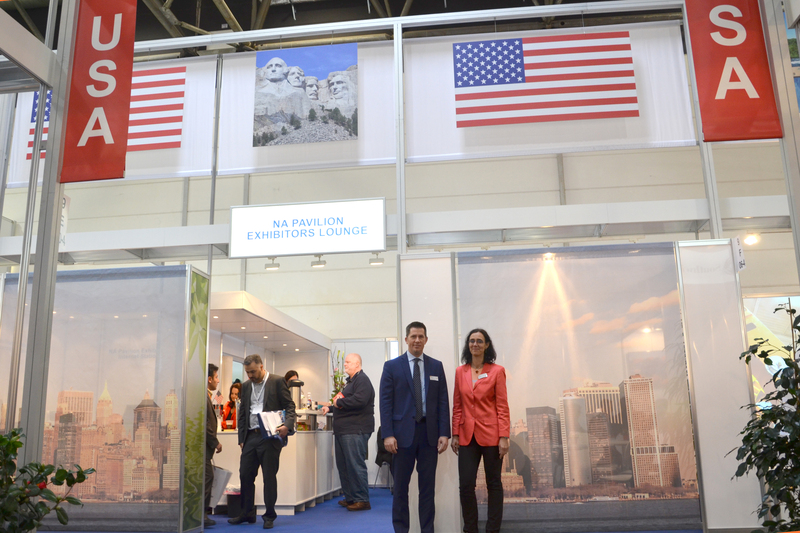 Another difference is certainly the fact that German trade fairs still place high importance on extensive talks and visits at the trade fair stand, whereas in the USA it’s more of a “meet & greet” affair. Plus the atmosphere is more casual – business attire, for example, is not so important. 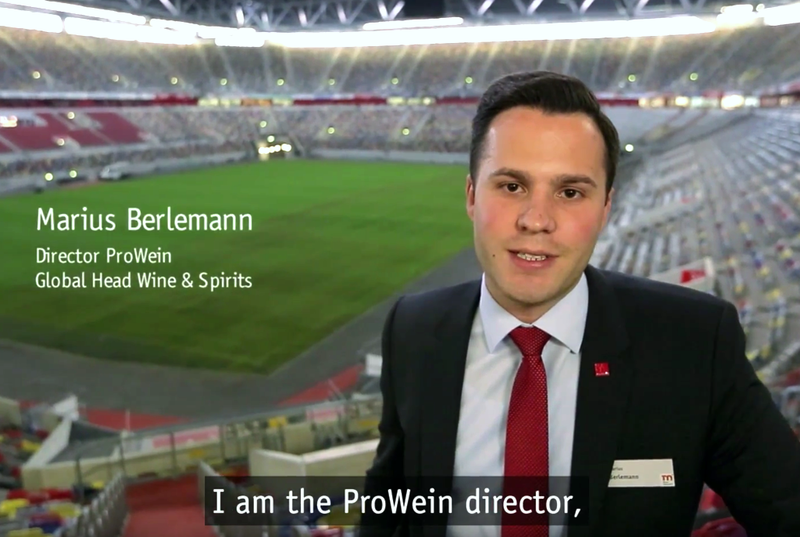 Editor: Besides the various locations of the trade fairs, what makes your job new and interesting every day? Eva Rowe: The wide variety of industries and the involvement in the whole economic cycle makes this job unbelievably exciting. Our extensive portfolio makes it possible to follow processes in diverse industries – in the metal industry, for example, from the beginning of a raw material all the way to a finished boat. This also gives us an overview of the entire global industry, which is still a lot of fun for me. Tom Mitchell: This job has made it possible for us to become acquainted with many cities and lots of interesting people all around the world. Several industries also have many faces, which keeps things interesting. Editor: Let’s wrap it up with a few words on wire and Tube: what makes this trade fair special for you? Eva Rowe: Many medium-sized companies are represented at wire and Tube, so that lots of companies and people get acquainted and interact with each other almost as if they were old friends. This makes the trade fair really pleasant and has us looking forward to the next one. Editor: Thank you so much for your time!